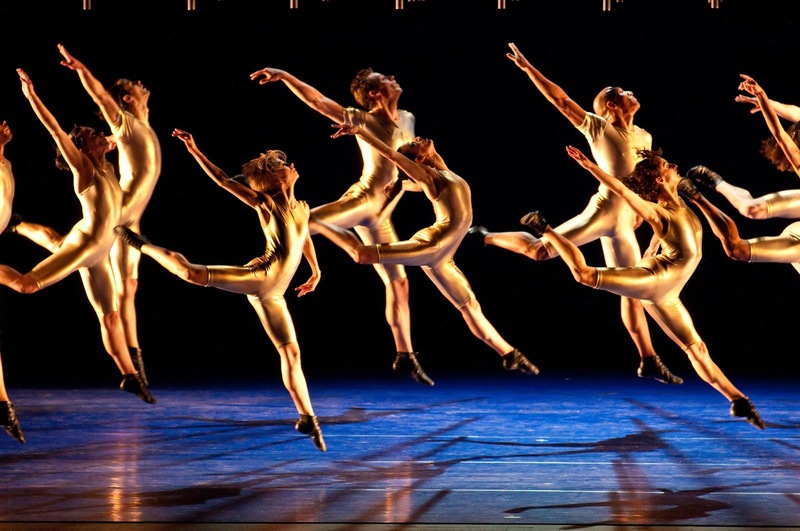 Renowned Brazilian dance troupe Grupo Corpo brings Bach & Gira, two wildly different works, to the Howard Gilman Opera House this weekend. 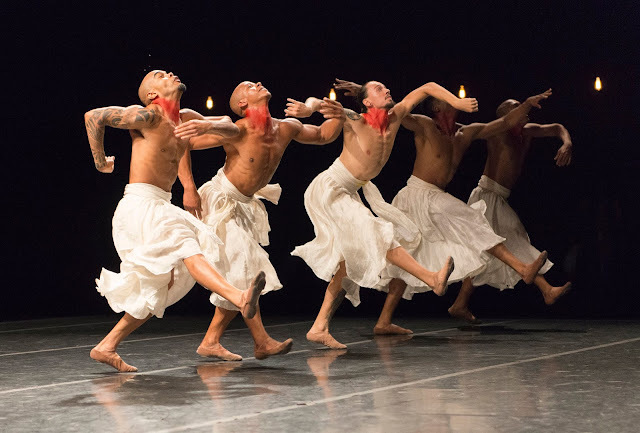 Inspired by the rites of Umbanda, one of the most widely practiced Brazil-born religions, and featuring a soundtrack by the São Paulo band Metá Metá, Gira is an explosion of movement that is unmistakably Brazilian. The experience doesn’t have to begin and end with the performance, however. Here’s how to celebrate Brazilian culture all day long right here in NYC. 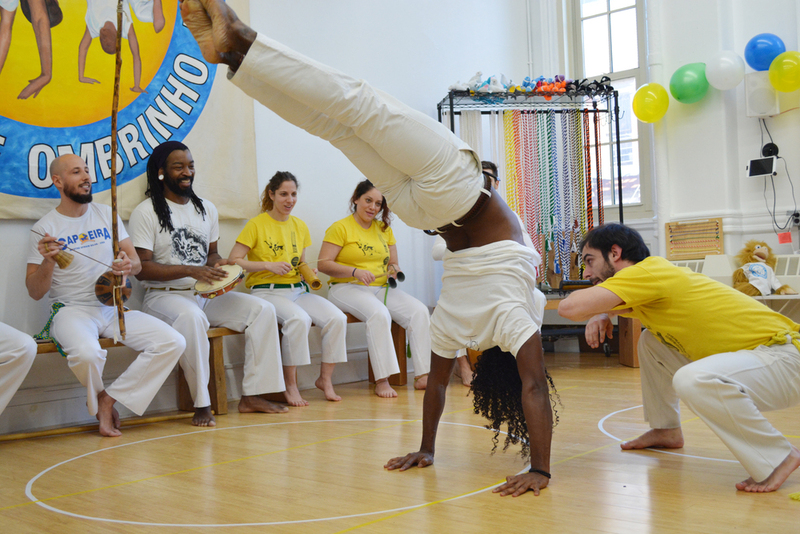 9am: Start your morning off with an Intro & Conditioning Class at the New York Mindful Capoeira Center, a Lower East Side landmark that specializes in the Afro-Brazilian traditional martial arts. By combining elements of dance and mindful rhythmic movement, capoeira is a workout for both the mind and the body. 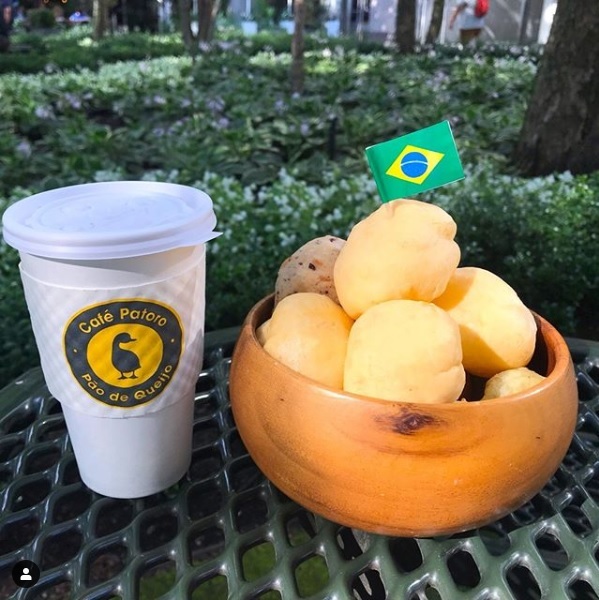 11am: After you’ve worked up a serious appetite from capoeira class, be sure to head to Cafe Patoro for a Pão de Queijo. These small cheese rolls are a delicious breakfast staple, particularly in Southeast Brazil, and are Cafe Patoro’s specialty. Other menu highlights include the Brigadeiro Croissant (a Brazilian bon-bon with chocolate filling and sprinkles) and the Brigadeiro Latte (also covered in sprinkles). Don’t have much of a sweet tooth? Check out the empanadas for a more savory brunch option. 3pm: Committed to preserving Brazil’s rich architectural traditions, ESPASSO showcases modern and contemporary Brazilian furniture. 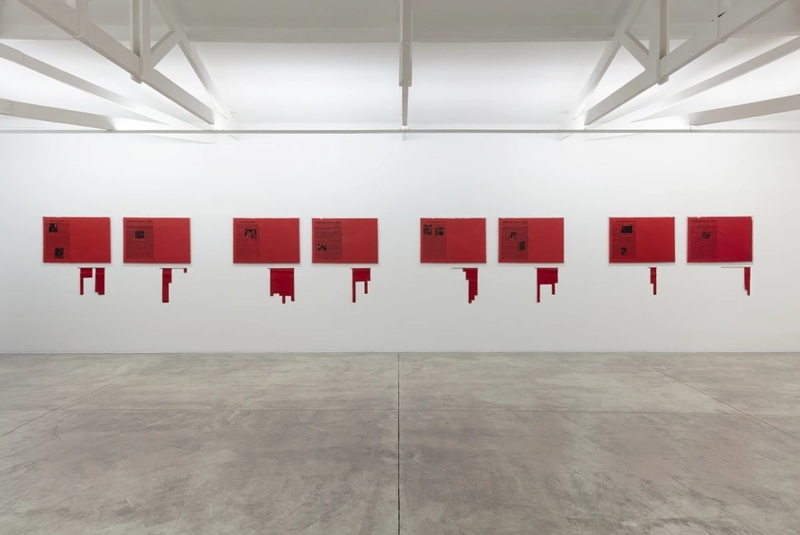 The group’s Tribeca showroom is stunning, displaying Brazilian design greats like Branco and Preto alongside more contemporary artists like Rodrigo Ohtake. 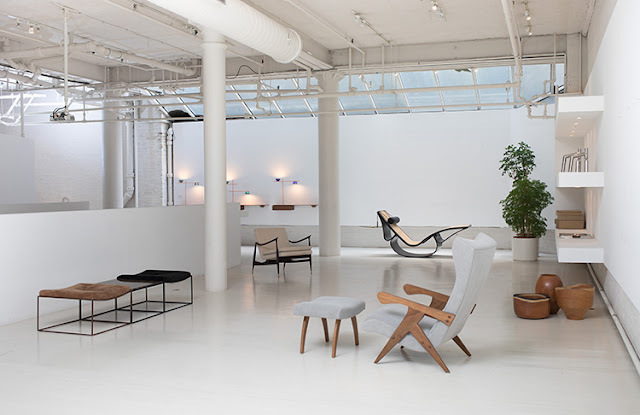 Though any ESPASSO piece will run you a pretty penny, the store is worth stopping by for the experience alone. 5pm: Nestled on busy Richardson Street in Williamsburg, Beco opened its doors in 2009 and is heavily inspired by the “botecos of São Paulo: local neighborhood bars known for friendly atmosphere, lively music, and light fare.” You could start your meal with more Pão de Queijo (because it’s impossible to have just one), or switch it up with some Coxinhas, traditional Brazilian croquettes. Feeling extra hungry? Try out their Feijoada, Brazil’s national dish. With locally smoked pork meat, black bean stew, rice, collard greens, salsa, and farofa, your taste buds will thank you. 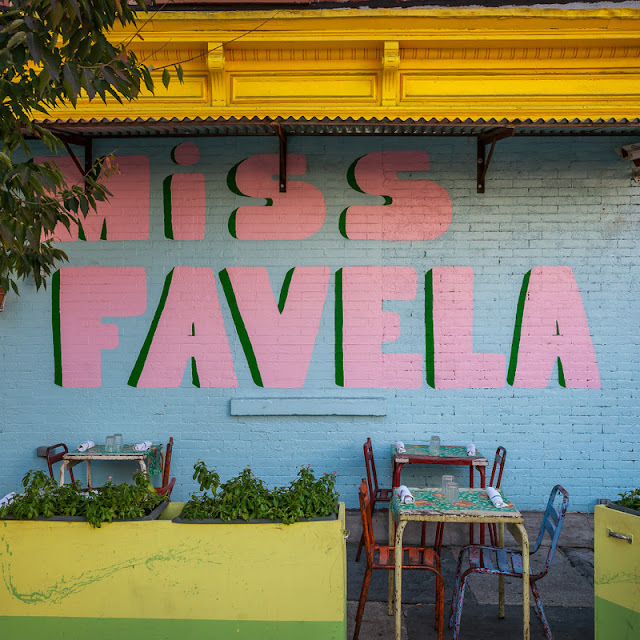 6:30pm: After dinner, head around the corner to Miss Favela for a few pre-show cocktails. Despite the cold outside, the bar and restaurant maintains a warm and uniquely Brazilian atmosphere where everyone feels like family. Be sure to order a Caipirinha, the house special and Brazil’s national cocktail. Made with cachaça (a distilled alcohol from fermented sugarcane juice), sugar, and lime, a Caipirinha will definitely make you forget that we still have a few months of winter left in New York. 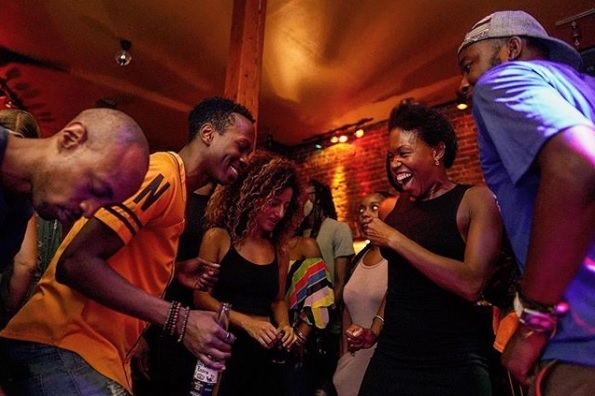 10pm: If you’re inspired to get moving after seeing Bach & Gira, head to Bembe, a Brooklyn staple that hosts some of the borough’s best dance parties. Bringing the best in global music to New York, it’s impossible not to feel the energy as soon as you step inside. DJs like David Medina spins the best in salsa, kompa, bachata, cumbia, sambra, and Afro-house while live percussionists keep you moving till late at night—just like a true Brazilian. © 2019, Brooklyn Academy of Music, Inc. All rights reserved.